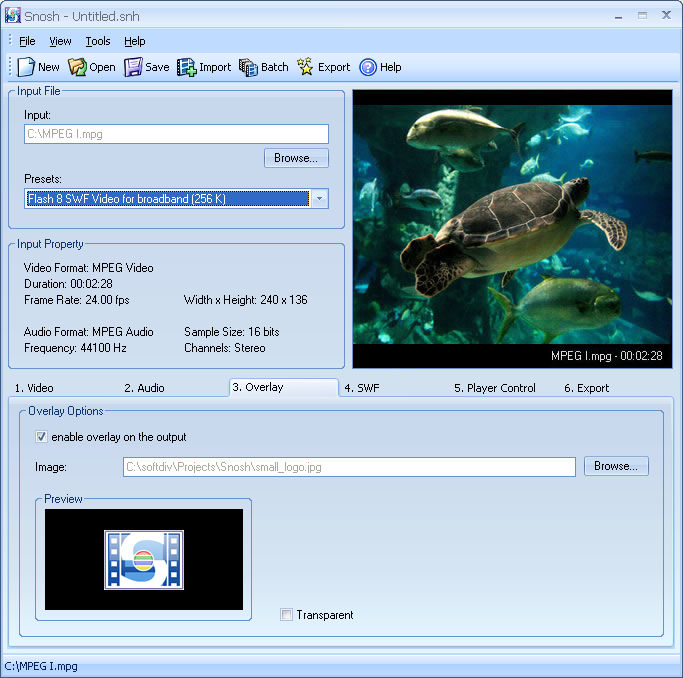 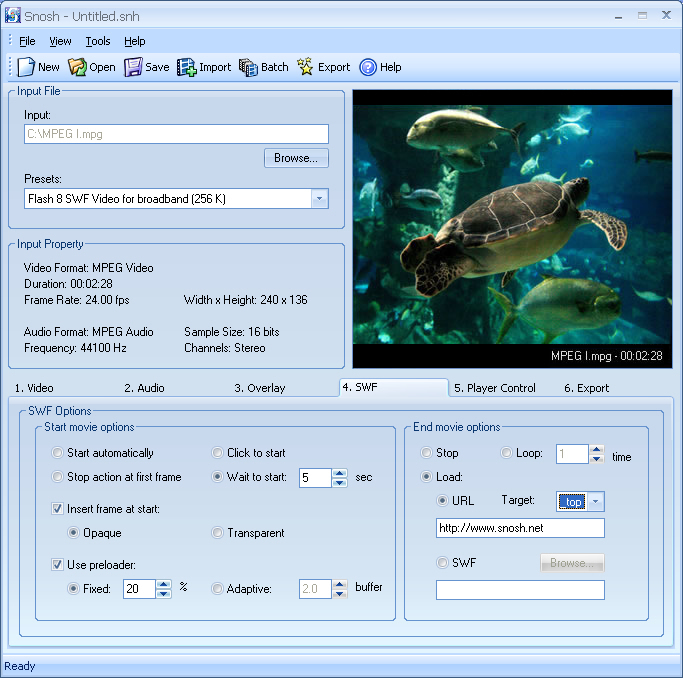 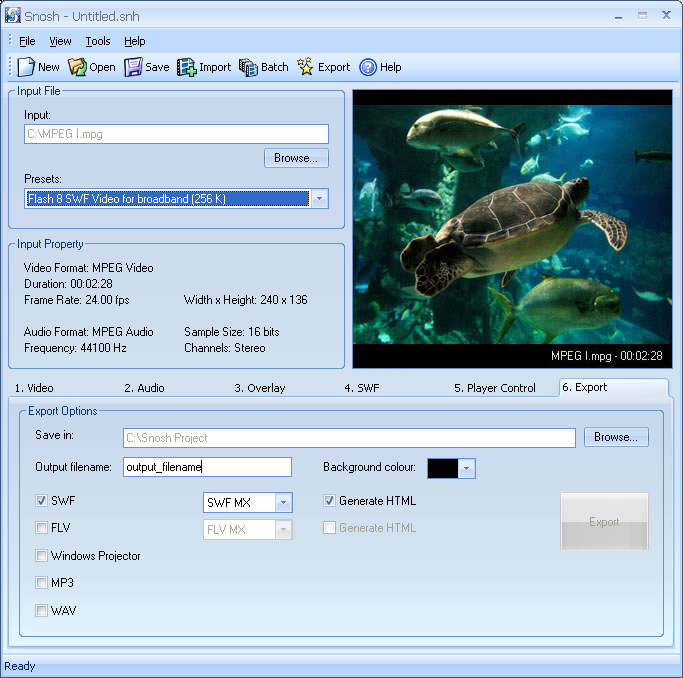 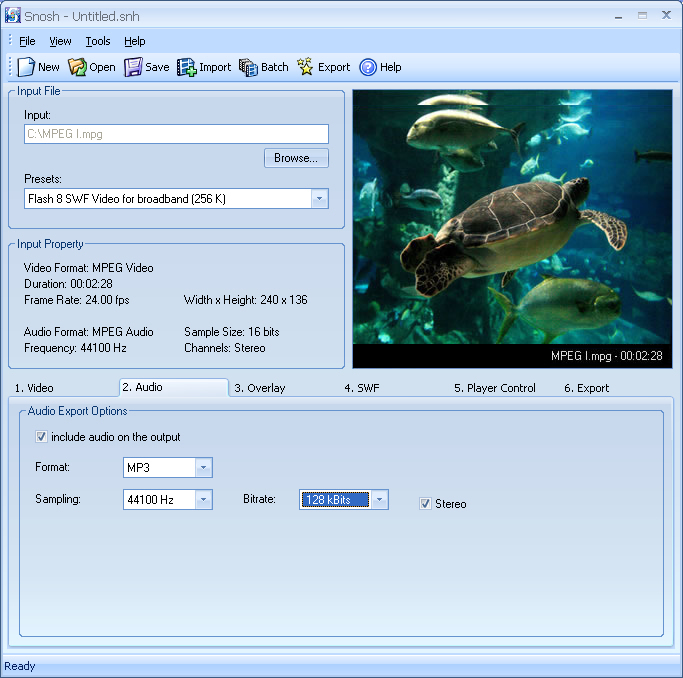 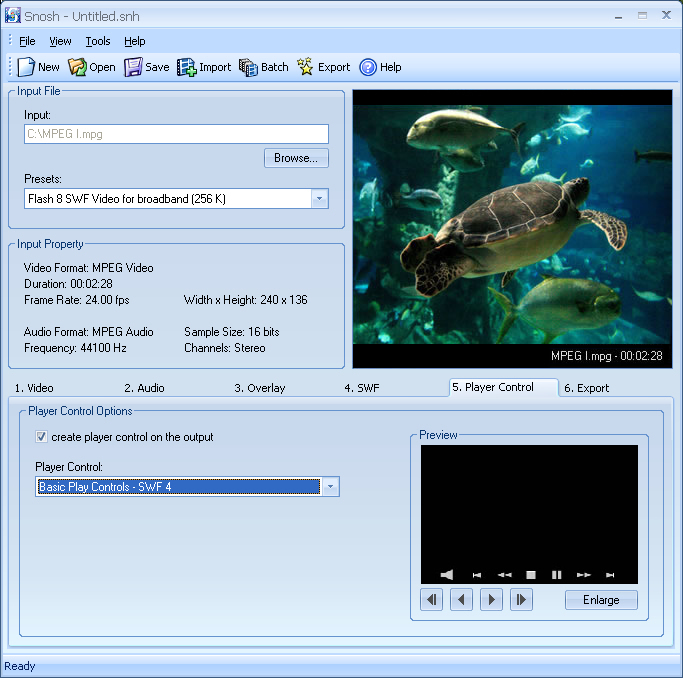 Snosh lets you convert your video, audio and images to Flash 8 (SWF/FLV), Flash MX (SWF/FLV), Flash Vector (SWF), HTML, MP3, WAV and Windows Projector Executables. 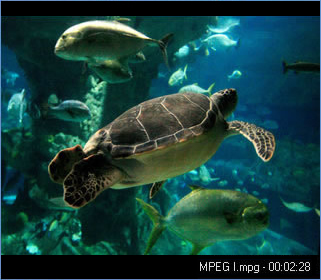 With as simple as a few clicks, Snosh offers a simple and clean solution to convert video/audio/images files into Flash to play on the web complete with the player controls. 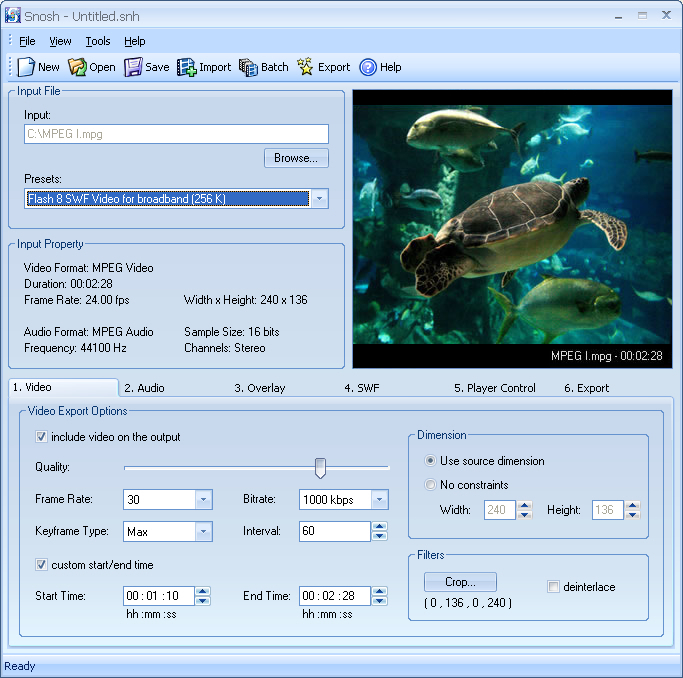 Snosh allows user to specify the dimension, start/end time, compression quality, player control, overlay, audio settings, cropping, SWF events, and background color to the output Flash together with the HTML to display it.